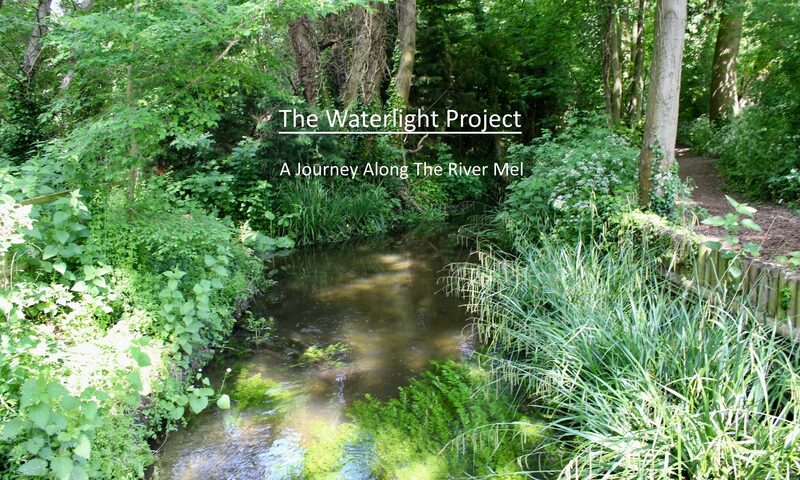 The Waterlight project is for everyone with a love of or interest in the life, nature or history of the river Mel and its environment and we have enjoyed talking with local people about their stories. We’re adding major new content from local people at the top of this page, but do scroll down to see previous content and new comments and short recollections – and to leave your own comments! We’d love you to share any stories you have about the river, offer your reflections on any aspects of the project that you’ve been involved in, or to comment on the stories or anything else you’ve discovered from our website! 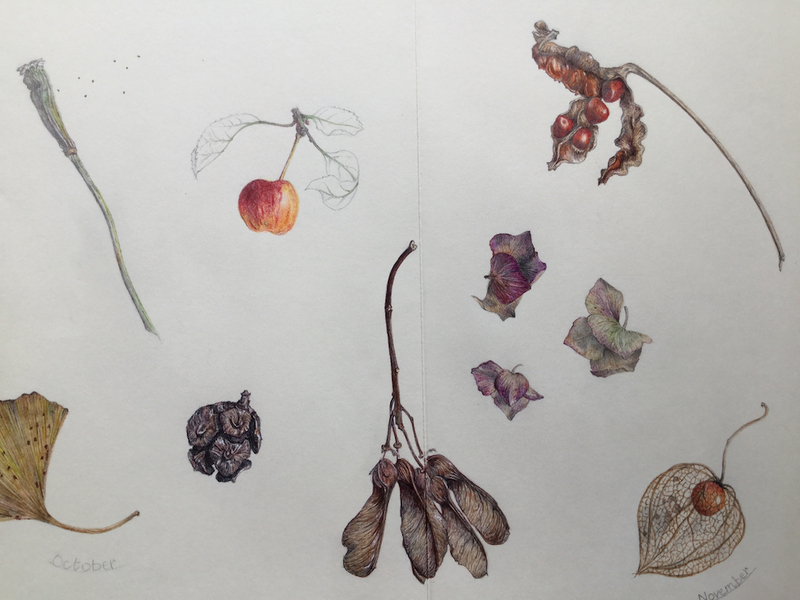 Christina is a painter and illustrator who is particularly interested in nature, especially plants. She has a special relationship with the River Mel where she walks every day, capturing, in exquisite detail, the plant life along its banks. She can’t remember a time when she wasn’t drawing, so it started in early childhood. 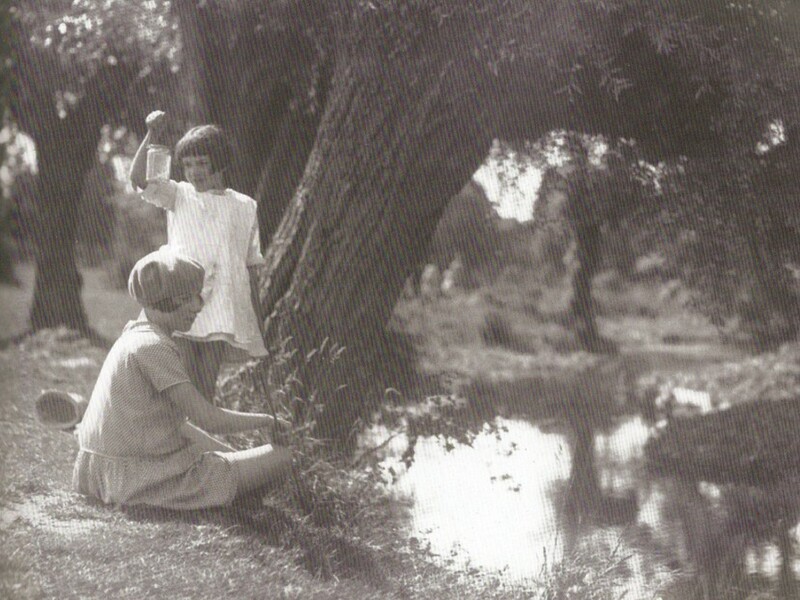 As a child she was allowed to roam as freely as she pleased, exploring the woods and fields near Abingdon in Oxfordshire. She always carried her sketchbook with her to record her finds. From the age of twelve she was lucky enough to go to a school with an excellent art teacher, who inspired her to continue onto art school. She taught in Adult Education in Royston and at Letchworth Settlement for many years and has exhibited her work in London, with the Cambridge Drawing Society, and locally with Curwens in Royston and the Tavern Gallery in Meldreth (now closed). 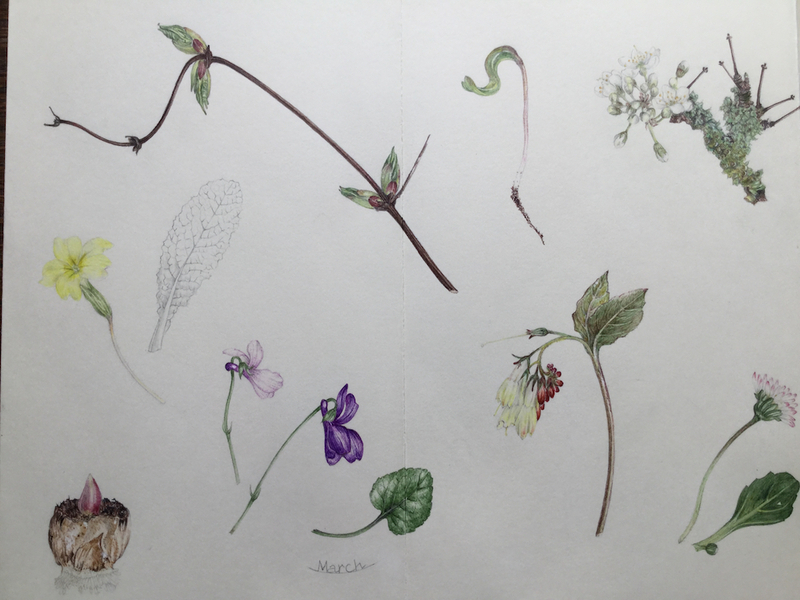 When she moved to Melbourn twelve years ago she immediately located the Mel and has been recording the plant life over the seasons in a concertina sketchbook which stretches across her whole room. She finds the peace and quiet along the river attractive. It is when she walks it alone that she finds that she can experience it best. Her camera and binoculars are an important complement to her sketchbook and notebook on her walks. 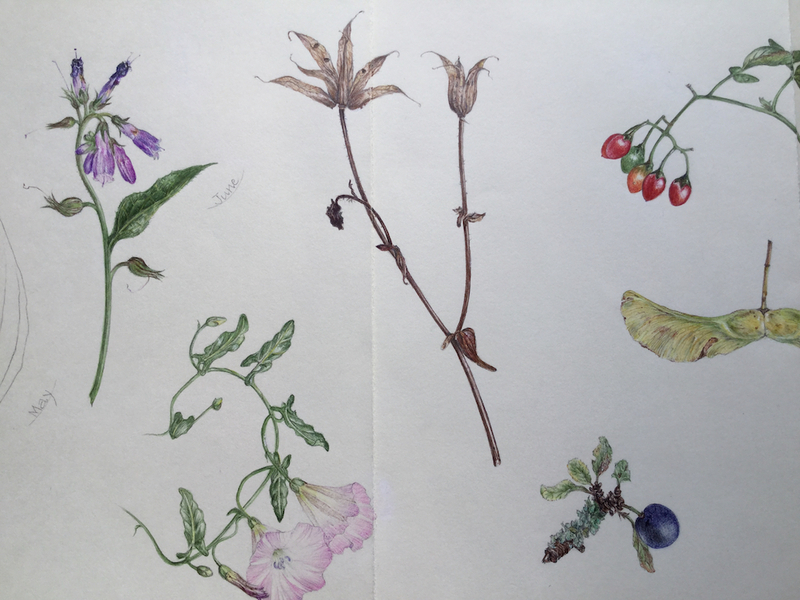 The sketchbook is full of intricate drawings of plants that grow along the river using the exacting technique of botanical illustration. This requires that the drawing is the exact size of the original and the colours also have to be exact. The drawings in the River Mel sketchbook are coloured ballpoint pen as the paper did not take watercolour. Christina also finds the folklore associated with plants adds an extra dimension and is intrigued by the long history of using plants for medicinal purposes and for dyeing. 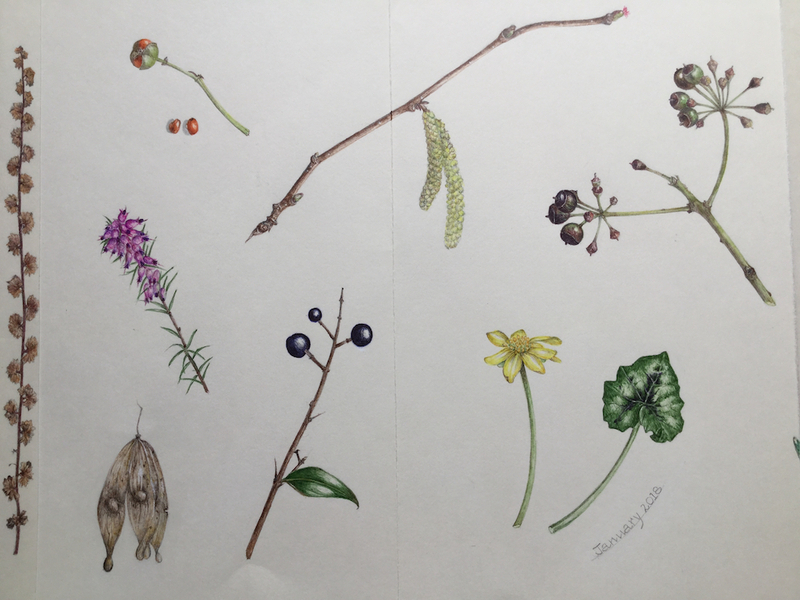 The gallery shows the complete set of Christina’s illustrations, which she made between August 2017 and June 2018. All images are copyright Christina Renwick. You can find out more about the biodiversity along the River Mel in the Abundant Wildlife page of our section on The Story of the Mel. Bruce and Clare interviewed several local people about their memories and stories of the river Mel, including: members of Meldreth Local History Group, which is very active in researching and documenting the history of the whole village, and whose AGM in March 2018 was specifically about and for the Waterlight Project; members of the Melbourn Elderly Lunch Club; and other local residents. We have also interviewed people on film for the project, and their stories will be available in the Waterlight film, summer 2019. 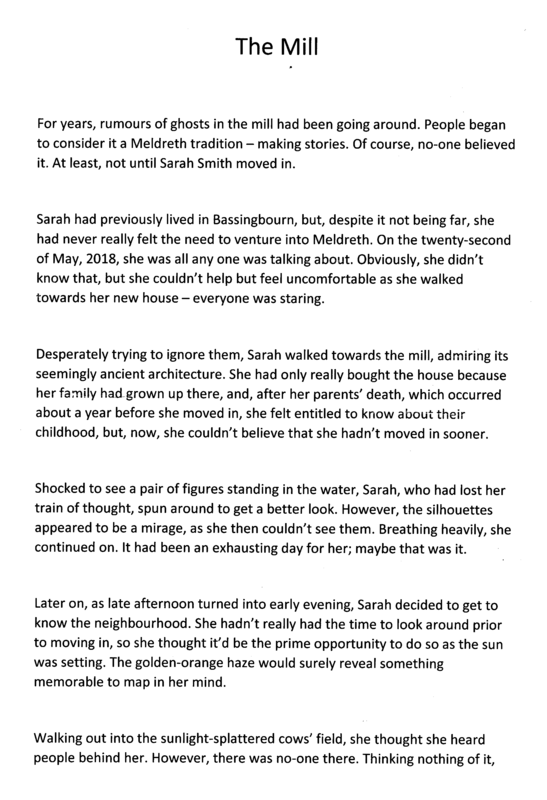 The following stories were recorded and transcribed by Gallery Writers member Yvonne Chamberlain and form a valuable part of the history of Melbourn and Meldreth and of our film; adding to the texture of the river’s history given to us by the elders of the Melbourn Lunch Club. We have shown the conversations here as Q&A exchanges: Questions (and, occasionally, clarifications or agreements) and Answers. Q: I think we’ve got cows actually coming down and drinking from the Mel. Anyone remember? A: We had a cow from work. A: One or two fields on either side of the river. Farmers used to let the cows go into the river. A: Yes that’s where you go across the station now, that’s why it’s called cow ‘slip’ corner. (Laughter)! My step-father had a farm and he owned that land, and they used to go across that corner, into those fields. Presumably they went down to the river. They used to go down to the dairy as well. A: More recently, perhaps 10/15 yrs. 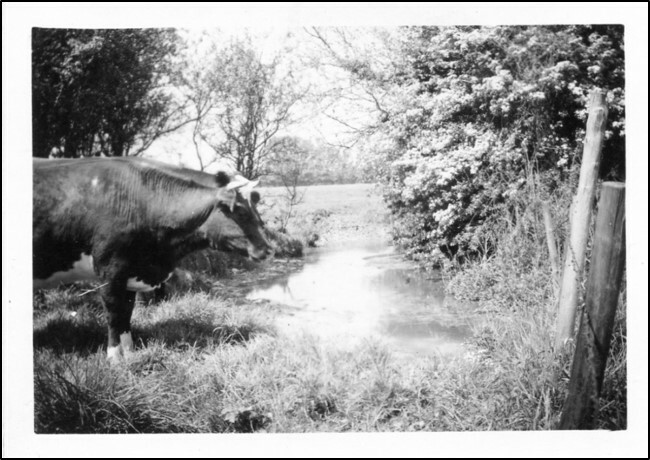 ago, a cow from the Bet’s field found its way down to us, up the bank and into our garden, and was spotted by a roofer who was re-doing the roof at that time, who drove it back into the field (Comment: ‘It’s a wonder he didn’t fall off!’) and it was making its way towards our artificial pond, in which, had it fallen in, it would never have got out, and our pond would have been demolished. Cows WILL walk down the river. Q: So, does anyone remember fishing in the Mel? Let’s hear about it! How many times did you slip in? So, was it very muddy at the edge- Ken? Q: I must admit when I’ve done River Mel Restoration Group sometimes you had to have two people to haul you out if you got stuck in the silt. So what did you catch? A: I think they’re called Bull’s Head as well aren’t they? A:Miller’s Thumb, quite big they were. A: (Lady at the back)….no. Q: OK. Now that’s interesting. I was expecting a lot more people here to have gone fishing in the Mel. A: It is said that the previous owner of our home, Bury Farm, sealed off their stretch of river with chicken wire and stocked it with trout, rainbows, but then subsequently there appeared in the Royston paper a small ad saying ‘fishing for free in Melbourn’! A: Now that’s a nice anecdote! A: Whether that is true or not I don’t know. Anyone else hear that? A: I think at one stage, that before The Mill was a restaurant, people there used to stop and put trout in the stream. A: You could stand and see the trout. A: The boys used to go and fish for the trout and sell them down to my lady in the bungalow. Q: Which bungalow was that? A: It’s the one in the curve in front of Sheene Mill. But my daughter recently said she’s seen trout in the Mel under the bypass. A: Well, we’ll come onto that later. Q: One interesting thing for me that came of reading the H E Bates book about two rivers and the brook, is that in the book he says ‘his brook’ that he grew up by, changed course for some reason. Of course, me not being a naturalist, I didn’t realise that when that happened, what you got in the river like perch, or the ones you mentioned, go extinct, disturbed, disappeared, because the river was doing its thing. A: They do more damage than the heron. Egrets are the worst things. I think they can stand in the water better,… the heron walks in, doesn’t he? Q: It depends. If it’s a lake, as we used to have a heronry where I used to live in London, they used to be flying in’s it did vary. Iain? A: One morning I saw there were three herons; from the bridge at Flambards down to Mr Tobin’s bridge on one occasion — just goes to show you build up the stocks and the predators come in to feed. Q: Now this was something I discovered very, very recently, that there were Osier beds, which are a form of willow which was used for basket making, along the Mel. Anybody remember that at all? We’ve obviously had willows, but these were cultivated and regularly cut down for basket weaving, and as we move on to talk about flooding, there were problems because these were lost and not properly maintained, and they silt up and that causes problems for the flow of the river (this is not a local picture). You also had these water meadows that were kind of started around the C16th and they made a huge change to the effectiveness of agriculture , because you channelled the silt and you flooded it, yet also, in terms of the cold weather we’ve recently had, it kept. It stopped the ground from freezing because the water was actually warmer than the ground. Chalk streams tend to be at 10 degrees all of the time. A: There’s an area between the station and the A10 road bridge which is filled with phragmites reed now, which would be very suitable as an osier bed, I mean because it’s a suitable space because you’ve got very low lying land beside it, and it’s now filled up with phragmites, so that’s a potential site. Q: So I wondered if we had a kind of cottage industry in the area? A: Well, in Cottenham there was a massive basket weaving tradition and they all have different names. Of course it was linked to fruit, so if they were here then they would be linked to what was being grown. The watercress, the greengages, the apples, the cherries…. A: We were told, when we bought the land that’s adjacent to our house now in Stone Lane, that it was used for basket weaving. A: Thank you. That really helps. A: The name, the old name before the Enclosures Act was Broids Common. I did an internet search on Broids to see where it came from, and it’s Broid, as in embroidery. A: That’s really helpful information, thank you. A: If you were to look at one of the old photographs you’ve got on your site, looking down towards the Guilden Arch, there are pollarded willows all the way along there. A: OK. That would make absolute sense. A: But you’re not basket weaving in the evening?! (Laughter). Q: Someone mentioned to me that there were otter hounds in Melbourn. A: No, MELDRETH. 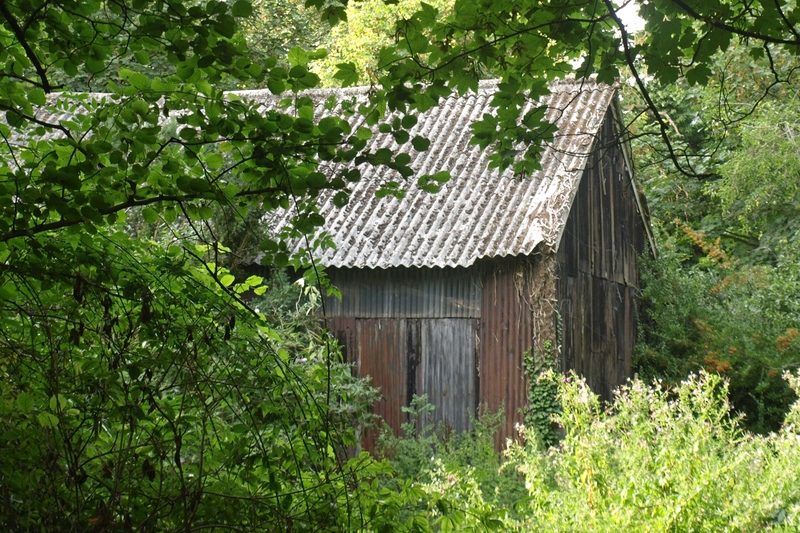 The shed in the back of Ann Braggins. A: That was an otterhound stable. I followed the otter along the Mel. A: We need to interview you on that Ken. (Looking at photo) That’s Robin the dog? Brilliant. I mean the River Mel Restoration Group have just had a fantastic…..
A: I was going to say something about that, because the state of the river when I had this first meeting to get the restoration group going was awful, it was dirty. You look at these clear streams: it was not clear. A: It was in a terrible state. A: It still can be, at the motorway, the road bridge. If you’re walking over to Melbourn, sometimes people just chuck stuff, and they do a fantastic job collecting it. A: I mean, the Water Crowsfoot is a particularly good indicator of healthy and clean water, and we’ve got a reasonable amount, you’ve got some nice stuff, Water Crowsfoot, up just past your bridge Kath. A: If you get a good flow of water, then that breaks off some of the Water Crowsfoot, and then it flows down the river, and we’ve got it beyond the bridge behind the church that you were mentioning earlier, and it wasn’t there before. You need to keep on working at this. A: Yes, there’s a nice stretch on Cowslip corner, but there used to be a nice stretch just by Esse, but that’s gone unfortunately. It got silted over. A: No. It’s a warded waterway. I have to keep the land clear so South Cambs can come in, they need to clear it, and they’ve come in twice in the last 10 years. Q: That’s very helpful. I’ll get onto issues of responsibility for clearing, and I haven’t got modern info, I’ve just got old info, so that’s helpful. A: The bridge bottom left (picture) looks like the bridge that’s by the stretch of the Mel between the Bett’s land and the pub. There’s a bridge across from an agricultural field, towards the small industrial unit. That’s very overgrown now. Drought on the river Mel. Credit: Bruce Huett. A: Yes, the hot summer. 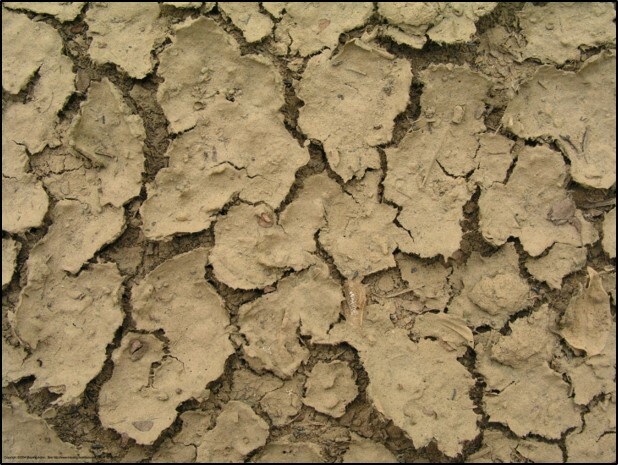 In summer it dried up completely. Q: Right the way through? Q: Picnics? Anyone remember picnics? A: I lived down North End, and the other river by the Guilden Brook, BUT we used to go swimming in there. There’s a bit there that’s a brick (tartan?) side of it, so we used to go in there swimming because it’s got a stone bottom. But the other side of the road we used to go fishing….for eels! Q: I hadn’t heard about eels in the Mel. A: A bent pin, on a piece of string, on a stick, hanging it over, wobbling about, by the bucket load. A: And as for the pits down the bottom end of Meldreth where the old cement works used to be…Ken knows about that…. We used to go skating on there. Q: Yes, that’s a kind of pond, not a quarry anymore. A: That was a pit…Raymond Course used to go up there with a little hammer and chisel, knock a hole in the ice, put a pump in there and pump water to make the ice thick so it was stronger to hold the people to go skating on. A: If you ever get up to the big round pit the other side of the railway line, you look in the middle, you’ll see what looks like about a 10ft bush. It’s about a 75ft tall tree that that grows, stands on top of a mound in the bottom of the pit, and that was about 10ft tall….we used to go there before it was flooded, with a chap from the farm, when it was flooded, rabbiting. He had a ferret and we used to go ferreting/rabbiting up there. Q: So Chris, how many kinds of kids would be in a group? 4, 5? A: More than that, maybe a dozen of us, behind the pub. We used to go up to Sheldrick’s in a group up there. Q: And did you put that in a string…? A: For many years there was a string at the pub. We’d swim at the pub, we’d swim across the river. Q: What about damming it? Because certainly they do that now up in the Melbourn stretch, on the recreation ground quite regularly. A: Yes there were lots of bricks. You could make a little dam down there, you could walk across, it was like a big playground. The actual pathway I remember for many years was very overgrown. So right now it’s like a motorway. It was overgrown. We’ve got pictures of my Aunt Muriel and Sylvia with stinging nettles on flower. Sylvia had a donkey, on the other side of the river…but it was very overgrown for a long time. A: It was her donkey was it? A: It was my donkey, she looked after it for me. I outgrew it! Q: The Guilden Arch, the one on the Shepreth road. I wonder if that’s the one by the mill? A: The Guilden Arch is the one on the edge of my land, as you go to Meldreth to Shepreth. Q: Can you describe in a bit more detail where that is? A: As you come out of Meldreth, the Parish Boundary is the Guilden Brook. The Guilden Arch is the bridge that’s where we learned to swim. Q: Oh, it’s not so deep now! A: The Guilden Brook starts from the bird sanctuary in Fowlmere. Q: Yes, the Guilden Brook comes down from Fowlmere. A: It goes past the old cement works and goes underneath the Meldreth to Shepreth road…going on to join up with the river that goes through from Orwell to Barrington. A: It looks like the Green man pub in Shepreth has got a new sign, a really brilliant face of the Green Man, rather than the little green man with the hood. A: I noticed it when we went there on Sunday. It’s actually quite new. I was going to take a photo. A: Bruce, there are actually two springs, a spring in the lake and there’s another spring beyond that. The source of the Mel are two ditches, the spring behind the house that comes through the fields towards Meldreth and towards Sheene Mill, and joins up behind Sheene Mill, the main stream. Q: Excellent, because I’ve been looking at maps over time and it’s really quite interesting. I’ve got a few of them on the presentation. There do seem to be lots of different routes, and then there’s stuff that goes off to Bury farm, where Bury farm is now. They may have all been messed up with the bypass. A: I think there were watercress beds. Q: Were there? I know there were watercress beds up at Fowlmere, and in fact they used to ship them down to the station. Q: Really! That is absolutely fascinating. A: I was shown where they joined, on one occasion: They joined near my daughter’s land. A: You never mentioned the Mel’s taken a different course now to which it used to. A: I was talking to Jim Winter in the pub one night. It makes sense it went round the back of all the properties, which could be your property, because the river cuts all them properties in half, and no one has a property down to the river and then 50yds over the other side, do they! What they’ve done is dug all the river out to put them mills in over 10 years or more, dug the river, put them mills on it and the actual watercourse was at the bottom of the, that side of Topcliffe Mill…. Q: I scoured my facts back to 1810, and I can’t find any evidence of any different route. A: Yet all them properties are cut in half, aren’t they? Everyone’s got a bridge except me! A: You get the same in Malton Farm, the Parish boundary ditch right to the actual line of the Mel. An interview by Bruce Huett with Meldreth History Group, whilst discussing maps: interviewee anonymous. Q: So, I heard a story of people travelling down from Sheene Mill, down to Topcliffe Mill on oil drums! Q: I heard that story at the elderly lunch club in Melbourn. A: We used to paddle on the tyres from the bottom of Woolpack Way, and you could get quite a long way up towards the court — by tractor tyres — the river always seemed to be wider and deeper when I was a child. Q: It was much deeper when I started on the Mel Restoration Group. You can see the piling that we’ve put in..the water was over the top of those when we started. Q: Yes, you can actually see that on this map. Q: This is a 1910 map. A: It has been filled in in the last 15-20 years and you can just see the dip in the ground, covered in daffodils, and that little footpath towards the lovely avenue of trees. The Roberts used to swim in the river. The Roberts used to canoe in the river. A: The bit near where it joins the Rhee. Q: Oh, at the top there? It’s a bit wider up there. A: One of the Roberts managed to get from there, to the camp. Shirley Cunningham (6 1933) Treasurer British Legion Haggers Close. Married Richard Hardy three children. Lived in Chiswick End at first, across fields. She allowed the children to go over to river to play on a regular basis until they were 11. The river was on the other side of the village (Meldreth) but it was safe for them to do this on their own. Betty Murphy, who cleaned at The Bury, remembers Mr Hopkinson making papier mache boats, coracles, for his children and friends to float on the lake at the Bury. She didn’t remember it drying up in 2004 (this was because it only dried up to the Sheen Mill lake because of the other springs at the Rec.). At the Bury she remembers ducks walking along the bottom when it was very low. Also spotted an egret nesting on the rec. There may be a pair. There were woodpeckers at the Bury and at the college (one is stupid as it attacks metal posts)! Another person added, Grey wagtails have been seen on a piece of wood over the river. Barbara Harding remembers going the post office to buy nets for fishing. She would ask her mother for a 1p to buy a net. They did it a lot. This was probably when the Fordham family lived at the Bury. Fordham Way in Melbourn is named after Mr Fordham. In 1820 Melbourn Bury were leased to a son of John Fordham who had been an executor of a former lessee John Trigg. 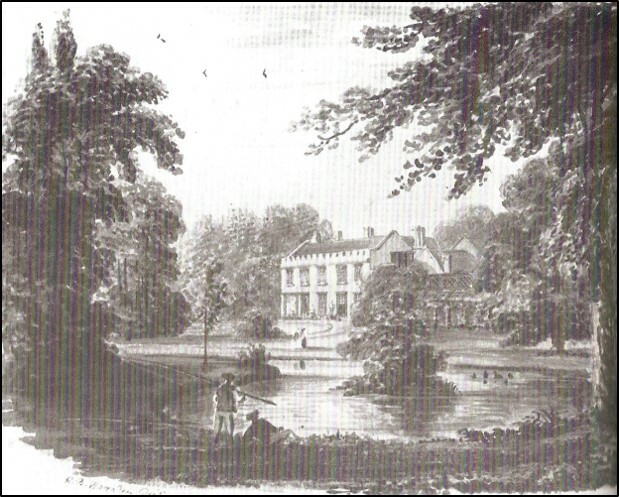 After 1864 he bought the freehold of the Bury estate, which descended to his son John Hampden Fordham and then grandson Alfred Russell Fordham and then the great-grandson Sir A. Stanley Fordham, who still held Melbourn Bury in 1978. On one occasion when they were paddling in the stream behind Sheen Mill one of her friends cut her foot on a piece of glass and she had to bind it up with her handkerchief. She was OK – no infection. There were wildflowers that looked like orchids growing on the field toward the station – the Meads. These were wet and used for cows from Sheen farm. They would drink from the river. There were also horses on the big field behind. Grandmother owned the house which was Riverside B & B (now owned by Sally of Esse) just on Melbourn bridge opposite Sheen Mill. They initially rented the building (which had been a laundry) for £1 and then bought it for £300 in 1958. When her grandmother was attending to the Raeburn stove she saw a newt in the corridor about 6 inches long, which presumably had come in from the river and liked the warmth. It gave her a terrible shock. She also saw a stag beetle in the hall. The area by Station Road was regularly flooded, but not as deep as the Malton Lane picture. She remembers paddling, fishing and falling in. She told about how when she was riding her bike to work at Atlas she came across a swan with two cygnets in through and towards Fieldgate, opposite the big house after the cottages. Her mother warned her not to go too close because the mother swan could break her arm so she quickly got back on her bike and rode off. There was an old tree in the field behind the B&B at the corner (now the college playing field) which stretched over the river just behind riverside house, which was possibly dead. Boys loved jumping off this onto the other bank (she never did). She remembered Ralph Mead: death in the Mel late 1980s. Did he fall or was he pushed? Had bought fish and chip supper at the fish and chip shop (he still had the packet when he was found face down). Janice recalled that she was born near the blacksmiths in Meldreth close to the stocks, in a house on the corner on the left just before the church, although she cannot remember the name of the house. It was small and not thatched. Their neighbour was a Miss Block/Black. This was before and during the Second World War as she is over eighty. She was alone with her mother as her father was fighting in the war and returned with a severe injury to his leg afterwards and always walked with a stick. During the war, she recalls that ‘The Church House’, possibly the rectory, was requisitioned by the army and there were soldiers based in the village. The children would often look in the windows of ‘The Church House’, particularly the kitchens when cakes had been made for the soldiers. They tried to steal them but never had any luck! 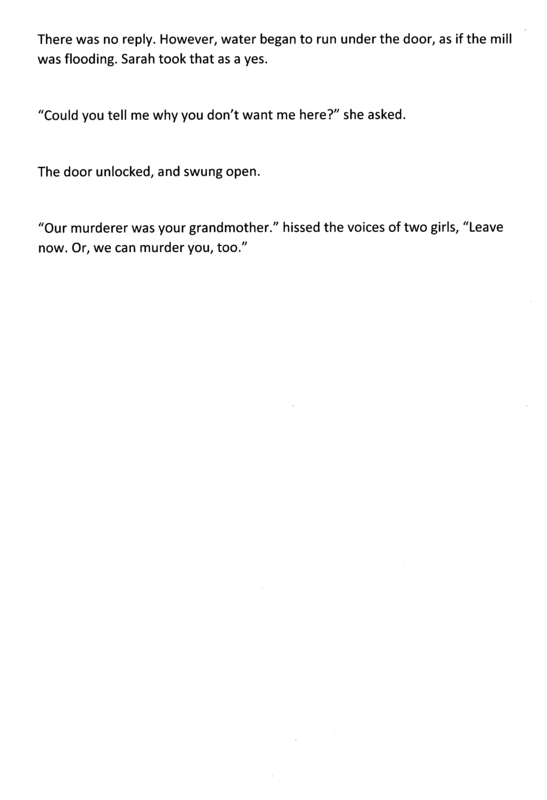 Her mother was terrified of them and always kept the doors locked. The soldiers were known to people in the village and often around outside the school. They knew all of the families surrounding them, particularly the Hales, the Simms and the Harraps. Her grandparents on both sides were local in Shepreth and Melbourn. Her mother’s parents lived in Melbourn and they often visited and stayed with them. They had an air raid shelter and she and her mother went there to ‘keep safe’. She remembers that her childhood and that of other children was restricted and sheltered because of the war. They were not allowed to ‘play out’ and so she never went to the river and remembers Topcliffe being out of bounds and not in much use by anyone locally. However, the main meeting point was the pump at the beginning of North End, which used to create a pool they paddled in. The water from it filled up all the ditches that exist beside the road going towards Topcliffe. If the children made too much noise there, residents of the almshouses (Mortlocks?) would come out and wave sticks at them! She took her gasmask to school and has affectionate memories of two teachers there, Miss Pearce and Miss Broughton, one of whom lived in the schoolhouse. She remembers meeting one of them in Royston when she had just given birth to her own daughter in the 50’s. It was a meeting of friendship and delight. When her father was demobbed he would walk to Atlas works and get the train back and meet with friends in the pub in Melbourn, the Dolphin. The family moved to the new houses in Howard Road between 1945 and 1947 when it was constructed as a new estate. She remembers her mother working for one of the local fruit growers picking gooseberries and blackcurrants and is proud to have lived, married and worked and had family in Meldreth for all her life. Her cousins and aunts were the Winter family who lived in Chiswick End. During and after the Second World War she remembers Meldreth as profoundly rural, full of greengage and cherry orchards where Oakritts now is, and fruit and vegetable growers linked the families who now run Field Gate nurseries. There was a coal yard on White Croft Road as well as orchards before the houses were built. Anthony Hopkinson and his wife Sylvia lived at the Bury for about 40 years until 2009. His wife was the last member of the Fordham family to live at the Bury. The family had been tenants and then owners from the early nineteenth century. They are both artists and have some excellent pictures and photographs of the lake, house and gardens in their collection. He has many happy memories of the place with his children and family events. The children loved to swim and play in the lake and use a “ropey” rowing boat. On one occasion his brother took the governess to the small island on the lake and then rowed away leaving her marooned on the island. No more lessons that day! Mr Hopkinson described taking a boat which he paddled and portaged from Sheen Mill to Harston via the Mel and Rhee. He also made a paper boat, which was large enough for one person, and tried to sail it at Waterbeach, but there wasn’t enough wind. Among his stories, Mr Hopkinson remembered an occasion when there was a wedding reception at the Bury. It was so hot that all the bridesmaids stripped off and took a dip in the lake. A pair of swans was introduced onto the lake at the Bury in the mid-twentieth century. They were brought from a sanctuary at Windsor, which had too many, in a car. Their bills needed to be kept moist with damp tissues. Other drivers would pass and then slow down to get a better look of the strange passenger! Swans could be seen in the stretches behind Dolphin Lane and there is still one at Sheene Mill lake (who might be interested in your meal if you are eating on the patio!). They were introduced to Sheene Mill from Poland. This was important when one was damaged by a fox and had to be taken for treatment by the RSPCA. Initially, the RSPCA said Sheene Mill could not have swans as they are all owned by the Queen, but when it was explained that they had been brought from Poland, it was allowed. There was a pike in the lake while he was there and this was caught by a Columbian servant using a rake! She hit it on the head with the rake when she got it out of the water. He didn’t say whether he got a chance to eat it and whether it tasted good. 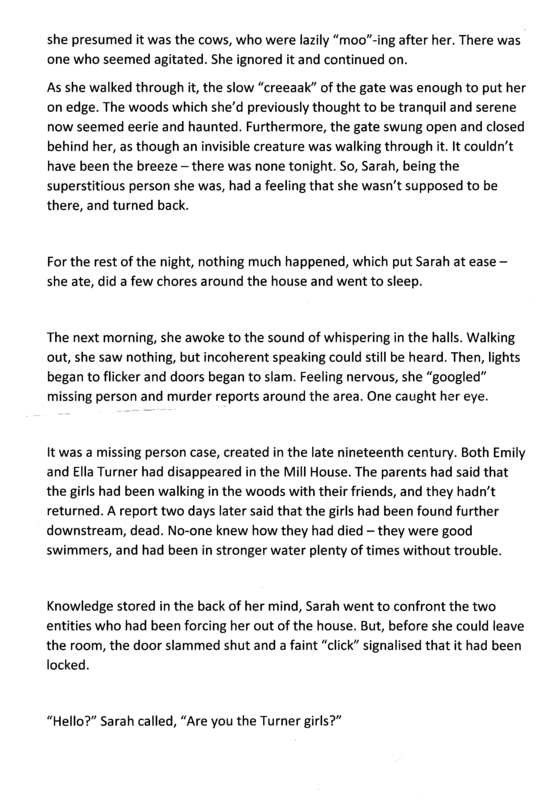 Here are two short stories that were written especially for Waterlight by pupils at Meldreth primary school during our visit on May 23rd 2018. Five of the children were so taken by the ideas which came out of their morning talk about river spirits in other parts of the world that they decided not to make a film but instead to write stories that might invent spirits for the river Mel. 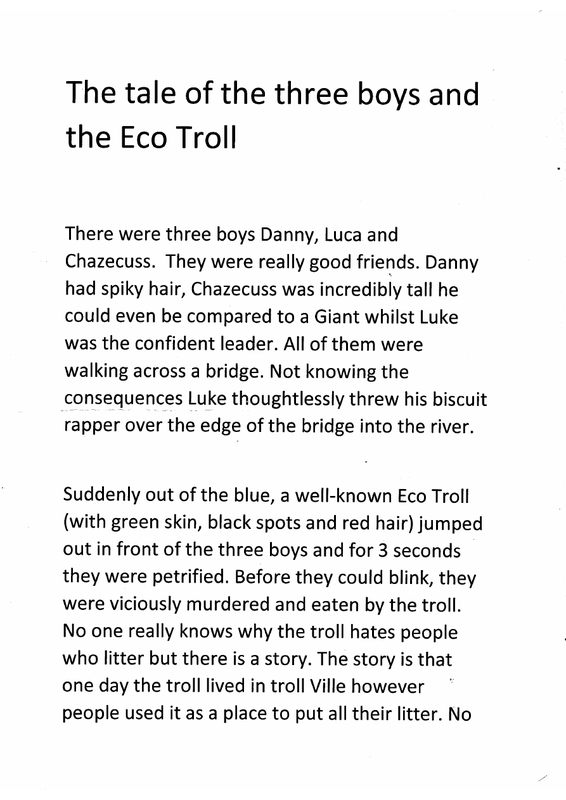 Three boys worked together on The Tale of the three boys and the Eco Troll: close friends, the three characters in the story are their alter egos! 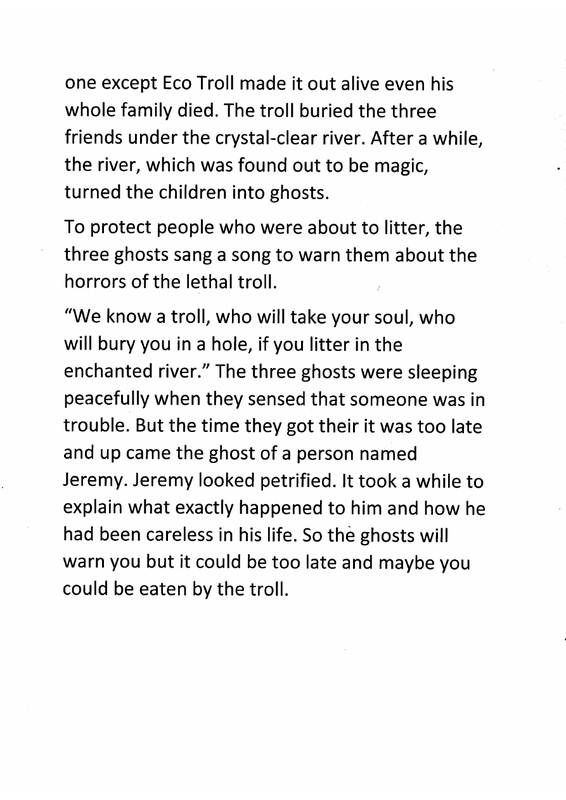 Two girls worked together to create the ghost of The Mill. Do let us have your stories about living on or visiting the river Mel, or comment on anything you’ve read on this page. Use the Comments box below to send us a paragraph or two. On one occasion I was planting up one of the reclaimed banks of the river, turned round to get another lot of plants, forgetting that my feet had sunk into the silt at the bottom. The result was that I ended up sitting on the bottom of the river. On returning home to enable me to shower, I was horrified to find my underwear looking something like Southend Sea front with the tide out. Fortunately I didn’t appear to have brought any of the wildlife home with me ! One Saturday Colin was in the river working with the restoration group when he complained to me that he was getting wet. With my usual “so what” attitude I explained to him that it was all in his mind and to get on with what he was supposed to be doing. After a while he said he had definitely sprung a leak as all his “bits” were getting wet. We pulled him out of the river and he made his way to the pavilion in Melbourn looking like the Michelin man. We all had a great laugh but I have to be honest and say that we did empty a few gallons of water out of his waders. Another time he was in the river and I told him not to move as he had young trout playing round his feet. One Saturday we were at the Meldreth part of the river and I was just about to get in when an elderly gentleman stopped and said “Thank you” to me. I couldn’t understand what he meant. He went on to explain that he had been born in the village and was convinced the River Mel was dying; but thanks to the “Group” it had been brought back to life again. I was very choked when he said this and glad I could blame splashes from the river for the water (tears) on my face.